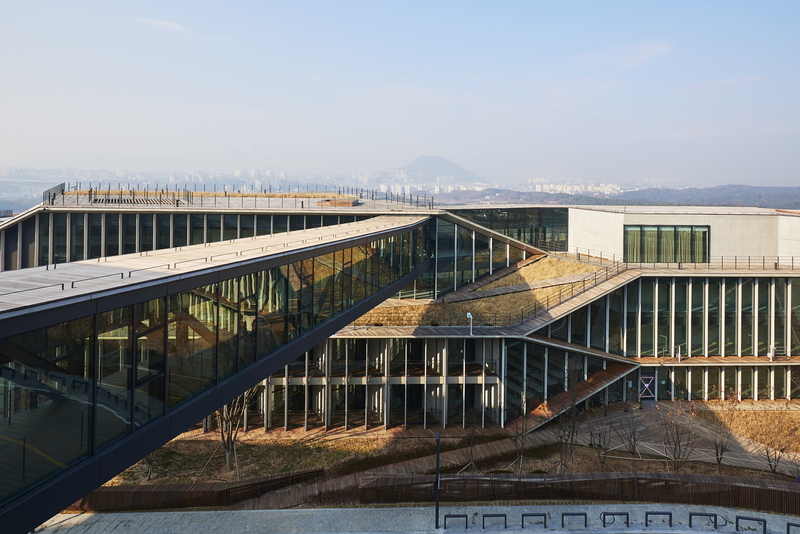 Kengo Kuma & Associates designed the Naver’s Connect One training instituted in Chuncheon-si (Korea) to integrate the construction with the landscape. Connect One won the Korean Architecture Award (2015) and the LEED-NC PLATINUM V2009 (2015). Blending into the natural landscape is the key to the Naver training institute called Connect One, built in 2014 by Kengo Kuma & Associates in Chuncheon-si, the capital of the province of Gangwon in South Korea. Illustrating one of the key themes in Kengo Kuma’s most recent projects, the Connect One building underlines the features of the landscape in which it stands, imitating its structures and forms. The allusion to the relief of the site on which the new Naver training institute stands is clear in the structure’s composition on different levels. Consisting of three buildings, the Connect One centre rises on the hills to the east of the city, opening up to the view of the spot where the Soyang and Han Rivers flow together. In turn, the motion of the three volumes seems to imitate the dip formed by the two waterways, with access to the two main roads that run along the sides of the site and another route that joins them. 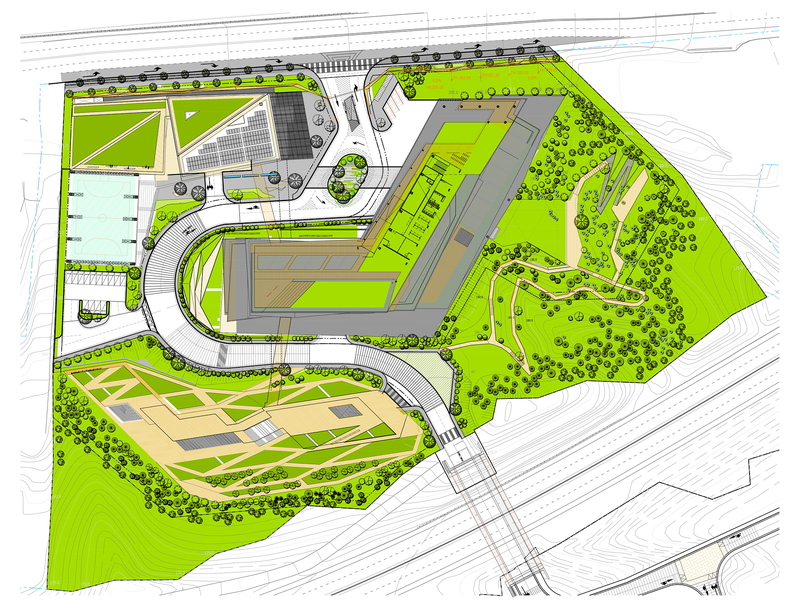 This division into blocks clearly distinguishes their function, with the auditorium and sports area to the east, the classrooms and offices in the middle and the student residences to the west. But the architecture has no sharp outlines, blending into the natural greenery that continues over the terraces and onto the roof gardens of the buildings. As many architects aware of the issue of land use have been doing recently, Kuma returns part of the land occupied by concrete and glass structure to the earth, camouflaging the construction when seen from above. With a precise geometric grid, the buildings’ walls are marked horizontally by stringcourses and vertically by the steel window frames on the continuous façades. They open up to form terraces on several different levels, which become, in different cases, hanging gardens connected to one another, access ramps, raised terraces and viewpoints, completing the experience of learning and staying in Chuncheon. In addition to this aspect particularly attentive to integration in its natural surroundings, the building features energy-efficient design, which determines the choice of materials, the use of water, the way wastes are handled, and the environmental quality of the interiors.